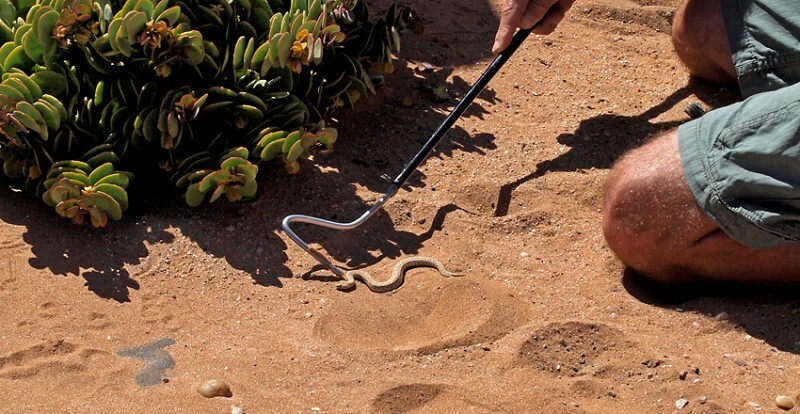 Tracks of the sidewinder, a snake that only lives in the Namib Desert and is one of the smallest adders in the world with a maximum length of 30 cm. The tracks told us it ought to be here. But it is in the sand with only an eye or two above the surface. It has its eyes on top of the head for that purpose. The name sidewinder comes from its strange way to move – in a “sidewinding way”. This move has two advantages. 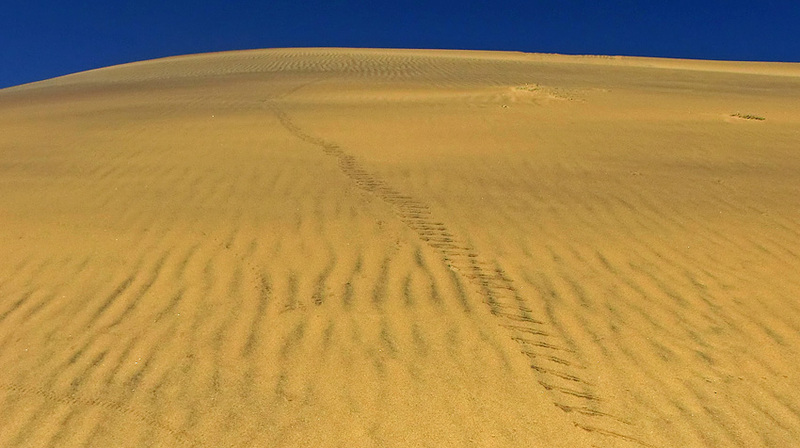 It makes it possible to move along the loose sand of the dune and it helps it from having too much of the body in contact with the very hot sand. There is a black tip on the end of the sidewinder’s tail. 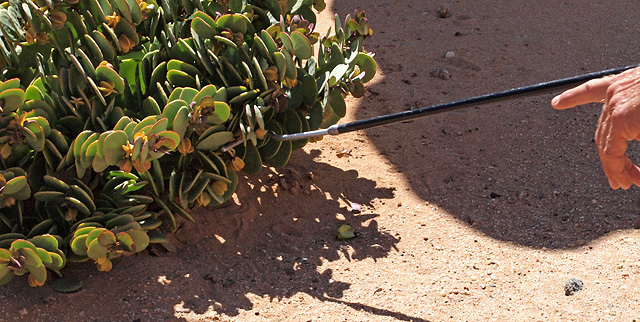 It is used when the snake is buried in the sand and puts up that tip to attract a lizard.